Cool! 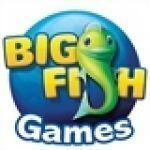 Save an average of 20% on Big Fish Games with 36 Coupon Codes, and 18 Deals! Details: Save 70% on Collector's Editions, Just $5.99 with Coupon Code For a Limited Time Only. Valid for New Customers Only. Details: Save 50% Off Game Downloads for PC and Mac with Promo Code. Purchase great games like Plants vs. Zombies and Mystery Case Files: Dire Grove for Huge Savings. Limited to New Customers Only. buy calavera: day of the dead ce and get 2 addl games for $2.99 ea.. ends 06/25/2013. Details: Buy Calavera: Day of the Dead CE and get 2 addl games for $2.99 ea.. Ends 06/25/2013. Details: April Showers Sale! All Games Are 40% Off!! Includes Collectors Editions! This Weekend Only!! Get BONUS PUNCH with every game purchase on MONDAYS! Details: Receive a BONUS PUNCH with every game purchase on MONDAYS! Details: Sign Up for the Game Club Monthly Punch Card and Receive a Free Game When You Receive 6 Punches. Details: Get up to 30% off Smithsonian hope diamond. Details: Get 65% off fierce tales: The dogs heart for iphone. Details: Get 40% off fierce tales: The dogs heart for ipad. Details: Get 70% off Dark Parables Rise of the Snow Queen for iPad. Details: Existing or previous customers take 50% off most standard edition games. Expires on 11/11/2013. Details: Save 30% on ALL Games with Coupon Code for Game Club Members Only through 1/23/13 only. Buy one game, get the second for 99 cents. Details: Save 70% Off the Collector's Edition of Stray Souls: Dollhouse Story through 6/6/13 only. Details: Tax Day Sale: Save 20% off all games + bonus punch card with every purchase when you use promo code through 4/15/13 only. Details: Get Whispered Secrets: The Story of Tideville Collectors Edition for $6.99. Expiration unknown. Details: Weekend Sale: Save 80% on Drawn: Dark Flight with Promo Code through 1/20/13 only. Details: Get 3rd game free. Expiration date unknown. free game with coupon code. Details: free game with coupon code. Details: One "hit" game free. One time use code. Details: FREE GAME WITH STORE PURCHASE. ONE TIME USE CODE. Details: Get one of our game hits free. One time use code. Details: Get 30% off Dark tales: Edgar allan poe The gold bay for ipad. Details: Get 30% off Dark tales: Edgar allan poe The gold bay for iphone. Details: Get 30% off Death Under Tuscan Skies: A Dana knightstone novel collectors edition for ipad. Details: Save 70% off fierce tales: Marcus memory. Details: Get up to 30% off Secrets of the Dark: Temple of Night. Details: Get 70% off World Mosaics Collections for iPhone & iPad. Details: Get 30% off Dark Parables Rise of the Snow Queen for iPhone.